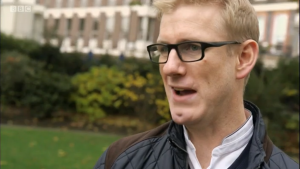 On BBC Watchdog tonight I appear in an item highlighting gaping holes in home food delivery service Deliveroo’s security and fraud prevention systems. Victims of so-called ‘Deliveroo fraud’ report having their credit and debit cards emptied of many hundreds of pounds on food and drink orders they never placed, to addresses many hundreds of miles from where they live. Deliveroo’s standard response to claims of a security breach has left those affected with a bitter taste in their mouths, suggesting victims look to their own security failings instead. The first a victim knows of the fraud is when they receive an email from Deliveroo confirming an order has been placed. Deliveroo insists that its own systems have not been the subject of a hack or data breach; instead, the firm advises that customers should not reuse passwords and usernames across multiple online accounts. Sound advice on its own, but a critical mass of Deliveroo victims all suffering the same fraud might suggest that Deliveroo should look again at its own security measures. Smart fraud prevention mechanisms, if present at all, appear to be ineffectual here. Purchases that are so out of character – such as those highlighted in the show – should easily be picked up by automated systems and subjected to additional verification. Similarly, a change of delivery address should also trigger additional verification – a PIN sent to the account holder’s smartphone, for example. Deliveroo chooses not to authenticate customer card payments with a CVV2 code. The Card Verification Value is one of the names given for the additional security numbers printed on the signature strip or front of the card. Deliveroo is far from the only retailer to forego ‘card not present’ security – Amazon, with its 1-click purchase, is another. However, this lack of verification allows fraudsters to place orders on credit cards that are not theirs with no challenge at all. When we buy something, the more hoops we have to jump through to make that purchase, the more likely we’ll drop out and go somewhere else. Understandably Deliveroo wants to make placing an order with them as simple a process as possible by cutting out as many hoops as it can. However, some of those hoops are there for reasons of security; in removing those, Deliveroo is not only making it easier for its customers to place an order, it’s making it easier for them to be defrauded. Watchdog airs on BBC1 tonight at 8pm. Watch a clip of the Deliveroo story here. Watchdog Wednesdays, a spin-off from the popular BBC1 investigative consumer affairs show, has launched on BBC Three and I’m excited to be fronting its films about online hacks and scams. My first film, a re-version of an item which aired in Watchdog in October, sees me and LBC’s James O’Brien shed light on a scam known to many as the ‘Microsoft Support Scam’, eventually catching the crooks red-handed. On an Apple MacBook running virtual machine software I performed a fresh install of Microsoft Windows 7, loaded anti-malware software, and seeded files in my Users folder and desktop to make it look like a well-used PC. On the host Mac I ran screen recording software, an X server and the Wireshark packet sniffing software to help identify where the scammers were connecting from (alas, we didn’t get to cover the last bit in the film). My final tool was a web browser with some simple who.is tools, and an hour or so raking through some ‘who called me’ forums to find some leads. In researching the story I’ve been indebted to generous input from Jim Browning and Troy Hunt, both of whom are very experienced at calling out PC support scammers – do check out their work. Plenty more to come from Watchdog Wednesdays including a revelatory film on public Wi-Fi hotspot safety – keep an eye out over on BBC Three. Have you ever received a phone call that begins like this? I have, too many times to count. The so-called ‘Microsoft Tech Support Scam’ is almost as old as the internet itself but, like a nasty virus, it refuses to go away. I’ve just filmed an investigation for the new series of BBC Watchdog to highlight the how the scam works and catch the fraudsters red-handed. Despite being plagued by these calls, I am fortunate; I know that they are almost certainly from scammers intent on stealing my money, personal details or identity. However, thousands of people do fall victim to this fraud every year with many hundreds of thousands of pounds reported stolen in the UK alone. According to the National Fraud Intelligence Bureau (NFIB) the average victim of ‘Computer Software Service Fraud’ will be 59 years old and £210 worse off as a result of the crime, although some report losses of up to £6,000. As with many nuisance calls these criminals work on volume, and for every one hundred calls they make, if only one is successful then it will have been worthwhile. In the past legal action against the perpetrators has proved difficult (although there have been some successes) but by showing Watchdog viewers what to look out for we hoped to raise awareness and reduce the number of victims. Listen and share! 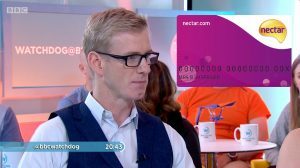 Watchdog reveals the scare tactics scammers use to pressure us into handing over our card details. Watchdog Scams the Tech Support Scammers broadcasts on BBC1 at 7.30pm on Thursday 29th October 2015.